The festival of Gudi Padwa, which is the Maharashtrian New Year is just around the corner. 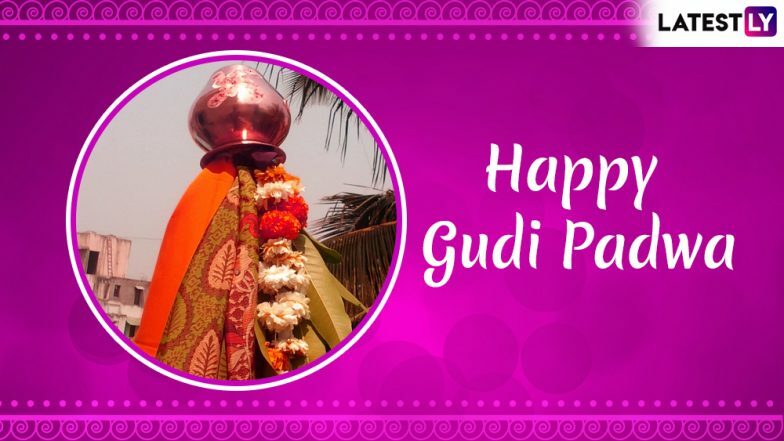 Gudi Padwa 2019 will be celebrated on April 6 this year. The festival is celebrated with great enthusiasm in the state of Maharashtra and among other Marathi speaking household communities in the country. The festival of Gudi Padwa is also called Chaitra Shukla Pratipada. It falls around the beginning of the spring season and it also marks the beginning of Chaitra month in the lunisolar Hindu calendar. Erecting a Gudhi is the most important traditions of this festival. Gudi Padwa also coincides with other spring festivals like Ugadi in Karnataka, Telangana, and Cheti Chand by the Sindhi communities. It is also called as the Chaitra Sukladi, the new year based on the beginning of the new moon. Gudi Padwa 2019: 2 Ways to Wear Traditional Maharashtrian Nauvari (9 Yard) Saree or Kasta. Gudi Padwa is also known as Samvatsar Oadvo, Yugadi or Navreh, from state to state, the celebrations also differ. Gudi Padwa is an auspicious day as it not just marks the beginning of the New Year but also begins the Chaitra Navratri. It is also the time farmers in the state plough their agricultural lands and prays for a good harvest in the rest of the year. Maharashtrians erect a gudi or gudhi, make special food items and mark the day. Houses are beautifully decorated with garlands and rangolis. Here's How to Make a Gudi at Home. The word Padva comes from the Sanskrit word Pratipada which refers to the first day of the lunar fortnight. The Gudi or Gudhi is a flag installation with flowers, mango and neem leaves with an upturned silver or copper vessel. This installation of Gudi is said to bring in good luck and keep away negative feelings. The festival of Gudi Padwa signifies the arrival of spring. Know Facts, Significance & Importance of the Maharashtrian New Year. According to mythological references, this is the day when Hindu god Lord Brahma created time and universe. It is thus considered the beginning of the Satyayug. It is also considered a victorious day when Satavahana King Gautamiputra Satakarni defeated the Sakas. It is also a prominent belief among the Maratha community that the great Maratha king, Chhatrapati Shivaji hoisted the victory flag on this day and undertook a march of success. So it is considered a day of bringing prosperity and is celebrated with great enthusiasm. On the day of Gudi Padwa, people take out processions, dress in traditional attire, decorate their houses and prepare special delicacies. It is a festival of new beginnings and people visit each other houses and pass on good wishes.